It's that time of the month when I reflect on all the new products/items I have bought and tried over the past few weeks. 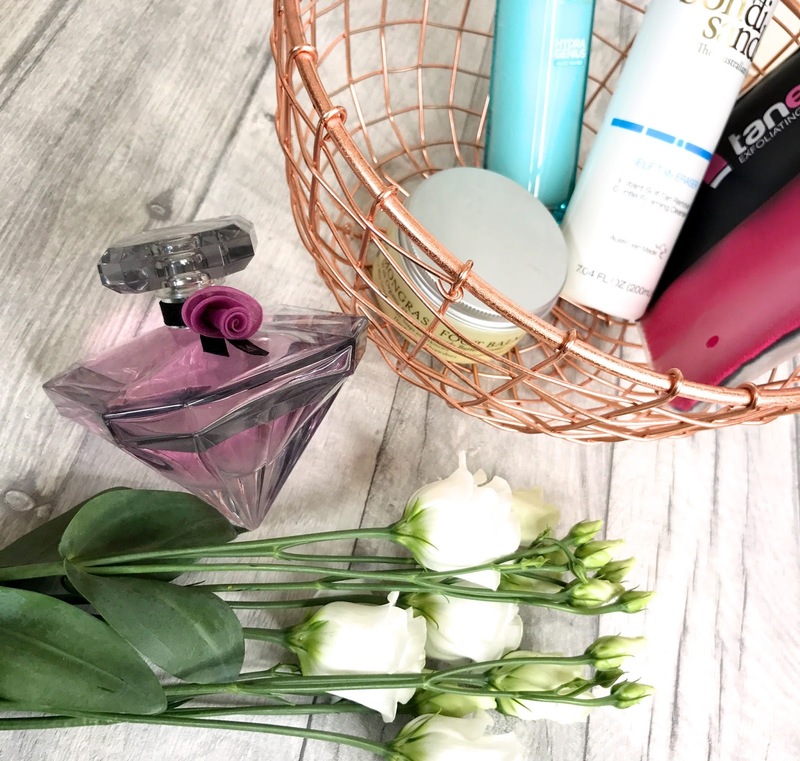 This is a slightly late May favourites but I wanted to try each product for a good amount of time so I could write about them thoroughly. Hope you enjoy! I had seen a lot of people posting about this product so I thought I would see what the hype was about! This is a serum you use instead of your daily moisturiser, there was three different types to choose from - Normal to Dry, Normal to Combination and Dry and Sensitive Skin, tailoring it to your skin type. The serum is quite runny but drys fast on your face and I really like how it makes my skin feel. It also smells so good and is great under makeup. I have been after some of these for SO long and I stumbled across them on a gorgeous stall in Shrewsbury Market Hall, the lady who owns it was so lovely and I literally wanted to buy everything! I am obsessed with rose gold (if you hadn't already noticed!) 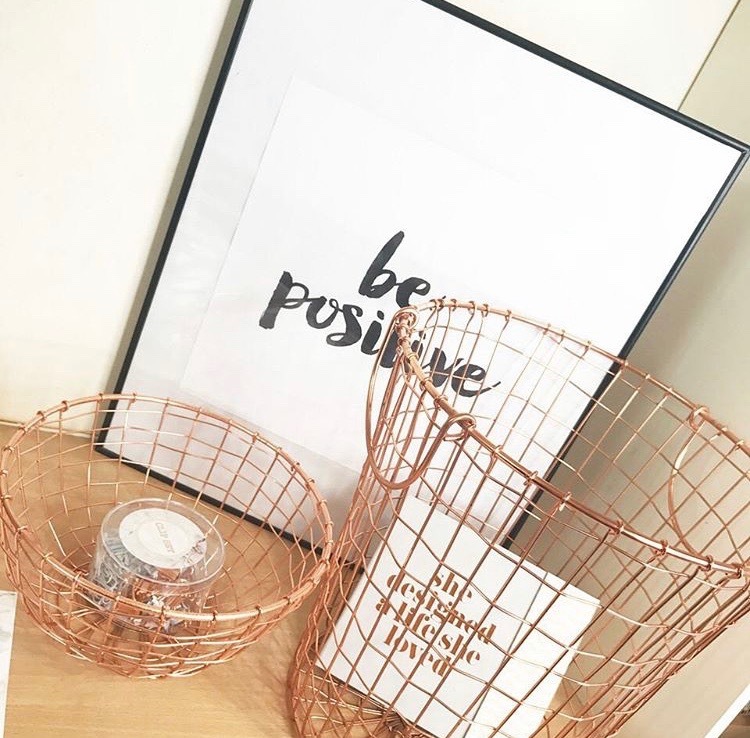 and they are brilliant for both storage and looking pretty in my room! 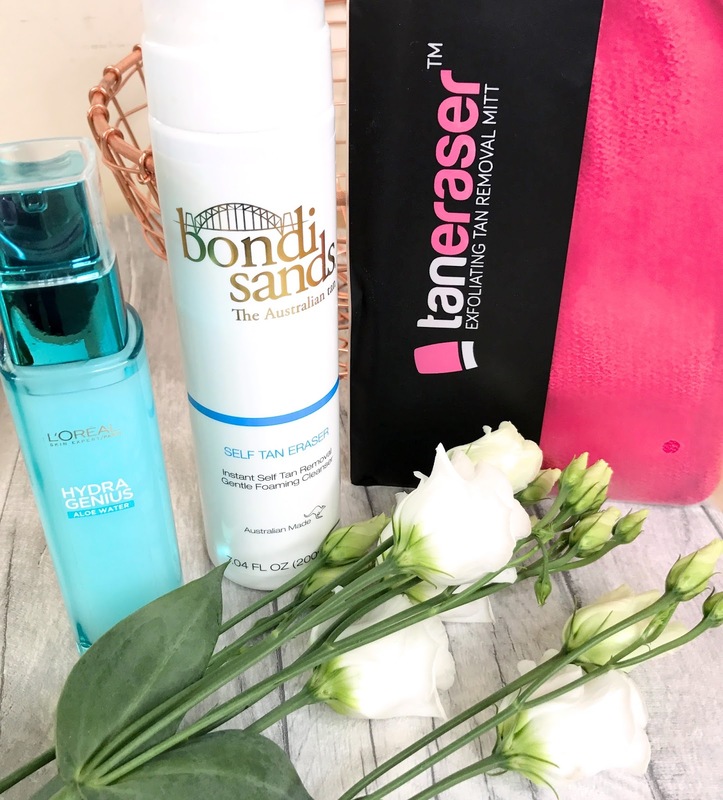 Bondi Sands is my most favourite tan brand ever (read all about it here) and they have just bought out a Self Tan Eraser! I was pretty sceptical when I first saw it as I couldn't work out how a foam could successfully remove fake tan? But, I am seriously impressed with this product. You apply the foam on dry skin at least 3 days after applying fake tan, leave it for 5 minutes then wash it off in the shower. I used a mitt in the shower to gently rub it off and the results were amazing. It also left my skin super soft ready to re-apply my fake tan. The only thing I would say about this eraser is that you need to wash your body with soap thoroughly before re-applying tan so there is no residue of the product left on the skin. 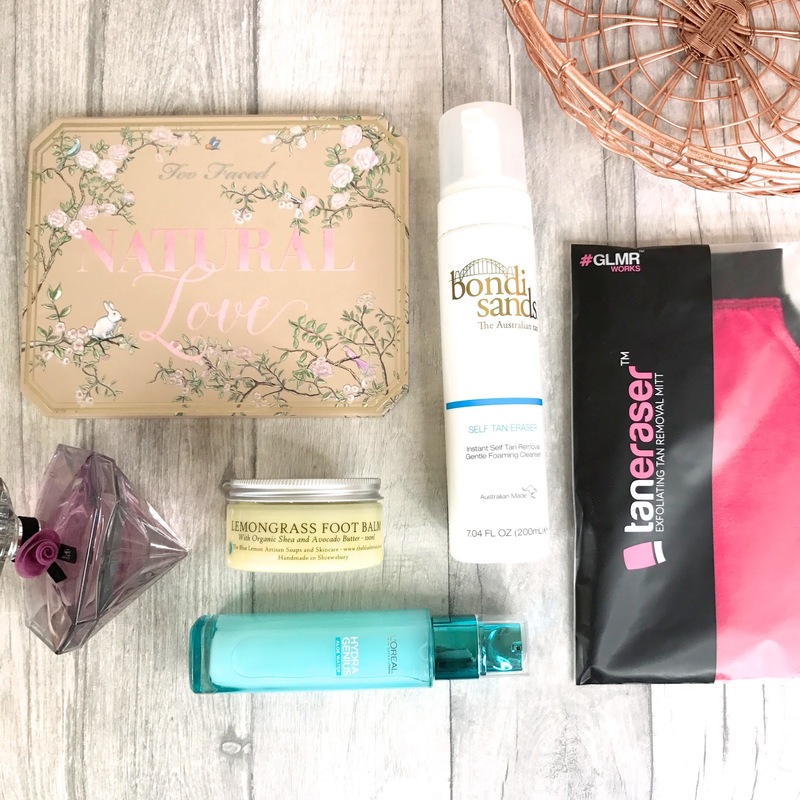 Another amazing tan remover is the TanEraser which is an exfoliator glove with two sides (one harder than the other), it's great for any stubborn/dry areas. Using these two products together got rid of any built up tan and prepped my skin. I bought this perfume at the airport and it is so gorgeous! I usually buy the Lancome "La Vie Est Belle" but I wanted to try something a bit different. This one is similar but it's a bit sweeter! I find it lasts really well and it's lovely for special occasions. I don't think I've ever loved an eyeshadow palette as much as I love this one. In fact, I don't know what I did before I owned it! The colours are absolutely gorgeous and they are so pigmented. 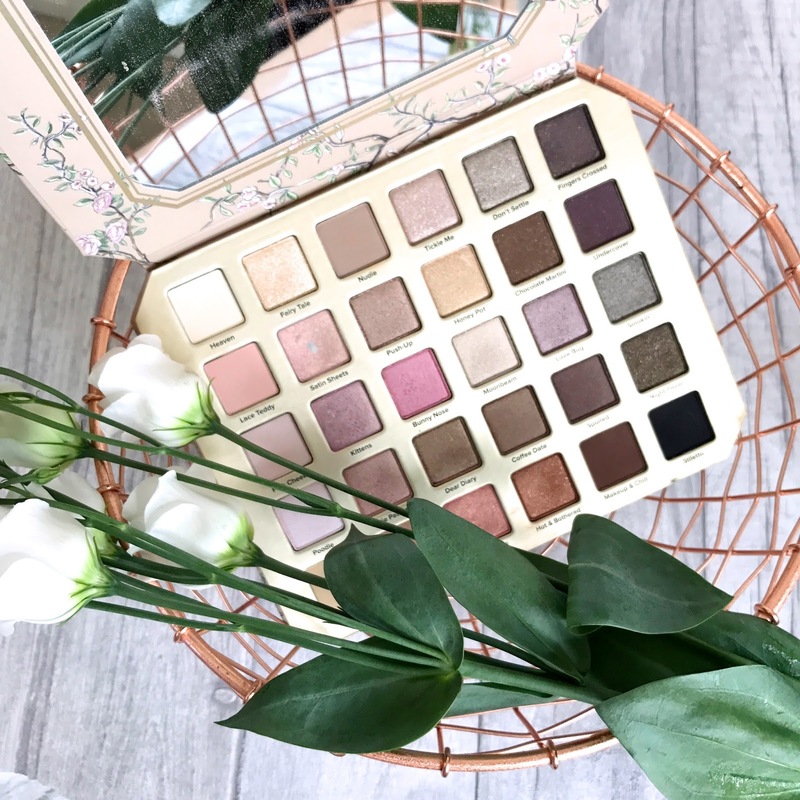 The shadows have a creamy texture and the colour pay off is amazing too. I love using "Satin Sheets" as a base then one of the darker colours on top. You could also use some of the shades as highlighters, they are just so beautiful! 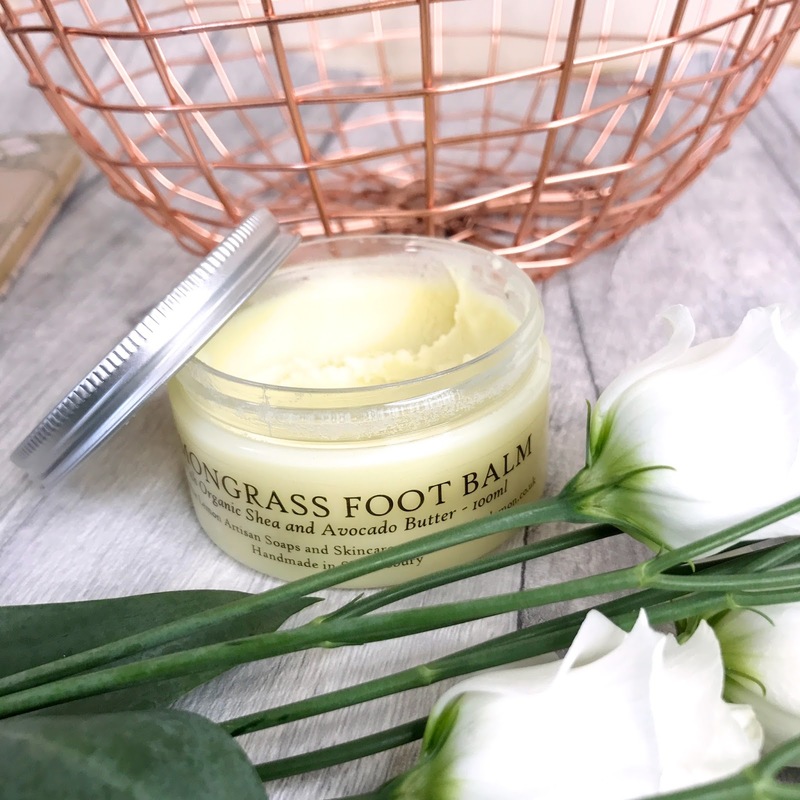 Finally, I have been absolutely loving this Foot Balm from The Blue Lemon. It is actually made in Shrewsbury as well which makes it even better! I always struggle with dry heels but after using this every night for a week, I can honestly say my heels are SO soft! They have three different scents to choose from and they each smell equally amazing! 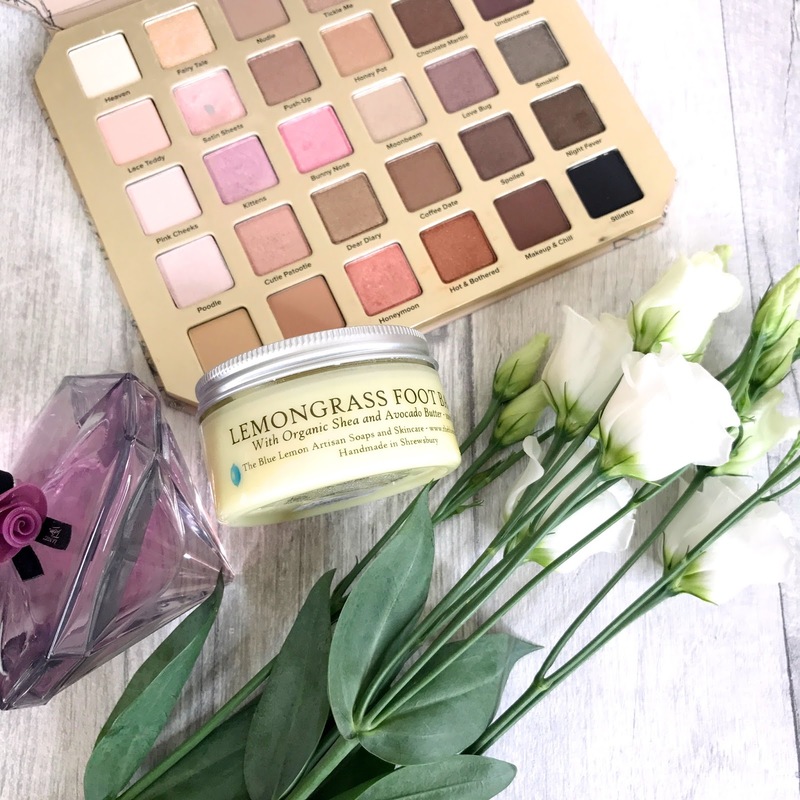 The best thing about their products is that they do not contain any palm oil, Preservatives, Sulphates, Allergens or Alcohol so it's all really good for your skin. They also make hand balms, bath bombs and lots of other skincare products which I can't wait to try!